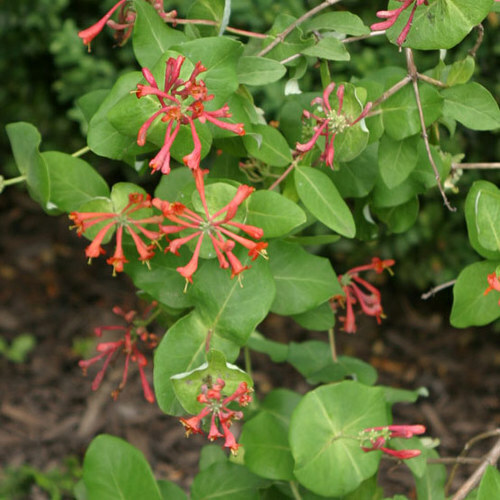 The genus Lonicera includes 180 species of shrubs and climbers that are grown for their showy, elongated, often fragrant flowers. They are widely distributed in the Northern hemisphere. Climbers grow by twining around supports. 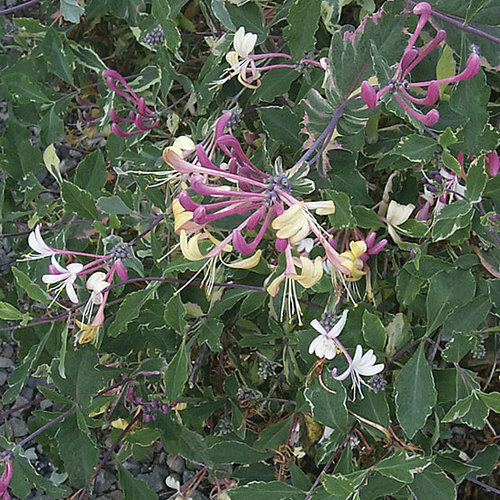 Use honeysuckles on trellises, walls, fences, or grow them into a shrub or tree. The shrubby species are good for borders, hedging, or groundcover. The berries are mildly toxic. Noteworthy CharacteristicsTubular or funnel-shaped, often fragrant flowers. Attracts hummingbirds. Some species are invasive. CareShrubby species will grow in most any well-drained soil in full sun or part shade. 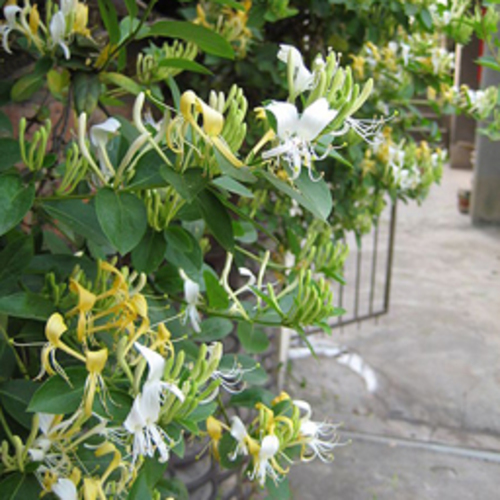 Climbers need fertile, organically rich, moist but well-drained soil. PropagationEvergreen honeysuckles may be propagated from semi-ripe cuttings in summer, while deciduous species can be started from greenwood (in summer) or hardwood (in autumn) cuttings. Sow seed in a cold frame as soon as it ripens. ProblemsAphids, leaf roller, scale insects, dieback, powdery mildew, leaf spots, blights.